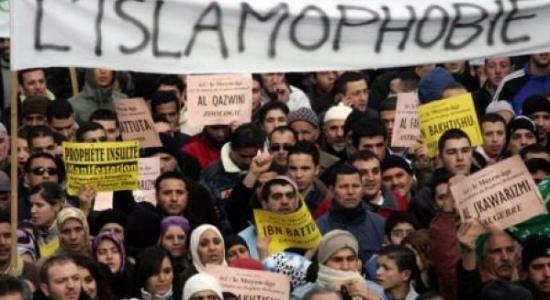 Islamophobia has intensified in the Canadian province of Quebec since the introduction of the proposed Charter of Quebec Values. The charter will ban all public workers from wearing visible religious symbols such as the hijab, kippa, turbans and larger-than-average sized crucifixes in the workplace. This has led to an alarming rise in verbal and even physical attacks against Muslims, mainly women. 117 complaints of verbal and physical abuse have been registered with a local anti-Islamophobia group between Sept. 15 and Oct. 15, compared to a total of 25 complaints (or 3.5 complaints per month on average) in the seven-month period of January to July 2013. Salam Elmenyawi, president of the Muslim Council of Montreal, told a news conference that the rise in attacks is a result of the debate over the Parti Québécois government’s proposed Charter of Values, which would prevent public servants from wearing “ostentatious” religious symbols such as the hijab (Muslim head scarf) or kippah (Jewish skullcap). Elmenyawi said he will be discussing the issues with mayor-elect Denis Coderre to improve the atmosphere and the need for police to take verbal assaults on Muslims seriously. He also accused the government of fanning the flames of intolerance and aggravating the situation. The Quebec Human Rights Commission has censured the planned charter, saying the ruling party’s proposal is a clear violation of personal freedom guaranteed under the province’s own charter of rights, the Canadian Charter of Rights and Freedoms, as well as the international law.
. The hateful acts occurred in the streets (30 per cent), in shopping centers (16 per cent), in the metro (10 per cent), in the bus (eight per cent) or on social media (eight per cent). The Quebec government is expected to table the charter in the National Assembly on Thursday. Democratic Institutions Minister Bernard Drainville has hinted the final version could eliminate proposed loopholes for hospitals and universities and remove the crucifix over the Speaker’s chair.